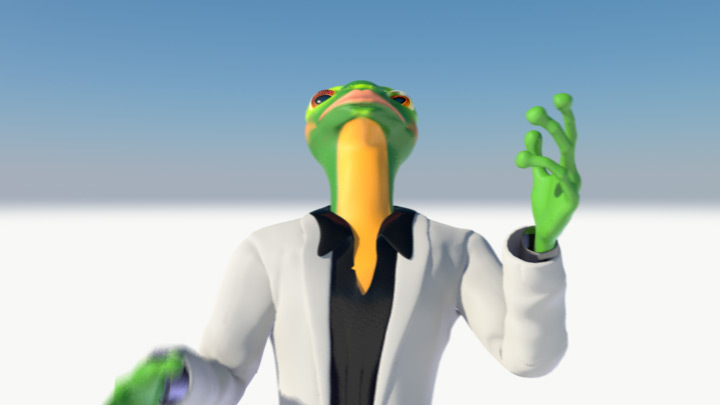 Ever seen a frog in a slick leisure suit? 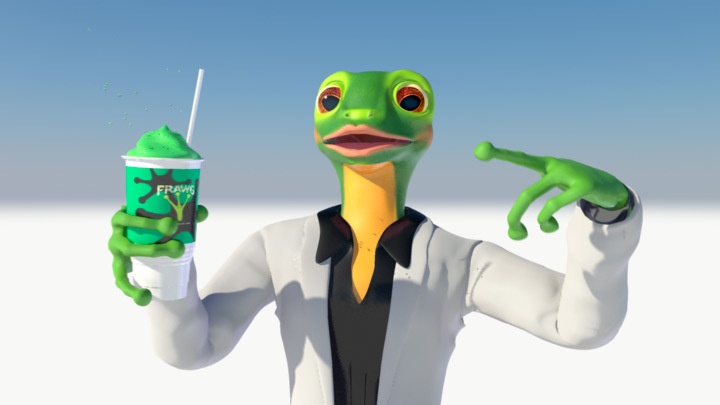 This animated character clip was used to promote 7-Eleven’s newest Slurpee drink. 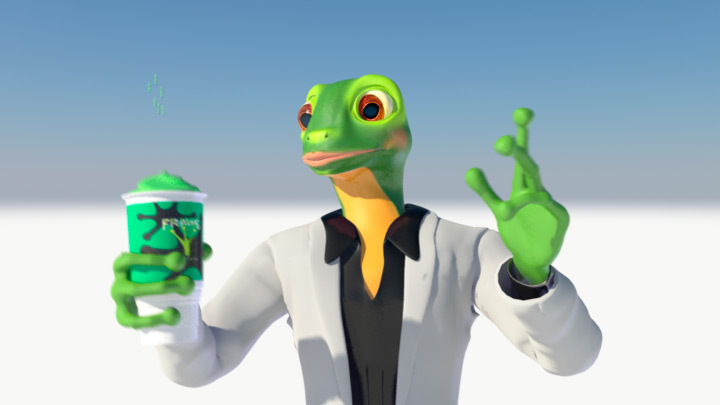 Styled and animated to look super cool, Frawg swaggers his way through this spot. Character development is a tricky thing. 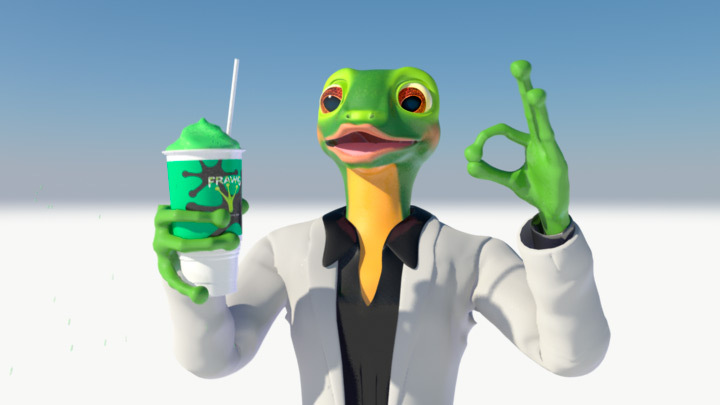 We worked to get the right tone and feeling from the look of the “Frawg” to fit the marketing demographic of 7-Eleven. 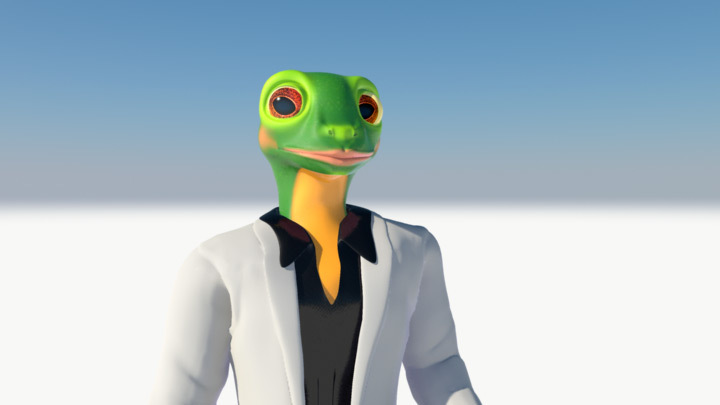 Elongating the arms and legs of the frawg and putting him in a white leisure suit gave him a funky, retro vibe that our client was going for. 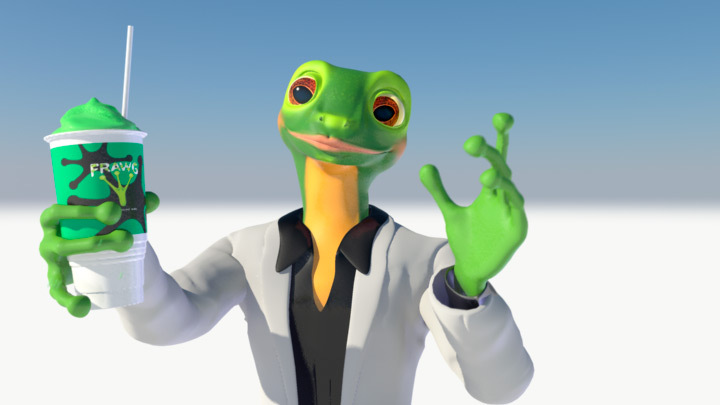 Texturing, lighting and movement created the style and feeling of “Frawg’s” coolness. Smooth moves and his fashion sense gave the “Frawg” his funky feel.